The second iOS 11 beta, carrying build number 15A5304i, arrives with a host of improvements and bug fixes addressed during the more than week-long interval since the first test version dropped on June 5. As expected, Apple's next-generation mobile operating system appears to carry the most changes, with upgrades to Siri, Apple Pay, Photos and a general user interface revamp. Of note, Apple has fully activated "Do Not Disturb While Driving," a feature previewed at Worldwide Developers Conference that could lower the number of automobile crashes due to in-car device use. In addition, Apple fixed 3D Touch functionality as it applies to data detectors (phone numbers, dates, addresses and other assets), while addressing a number of issues with third-party apps. With the new beta, Android Migration now works as intended, Bluetooth communication is more reliable and apps over 100MB can be downloaded over cellular. 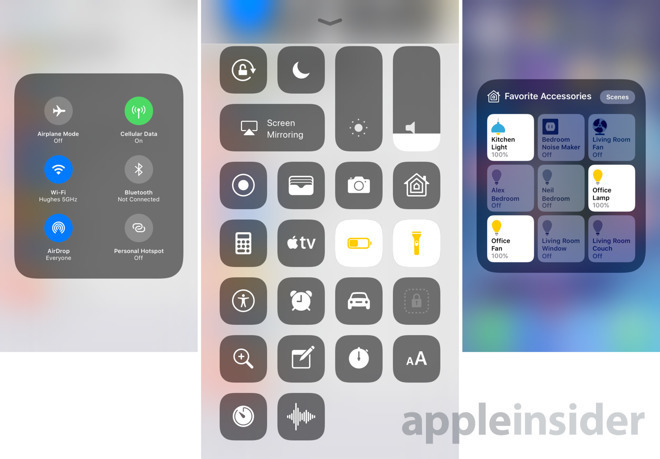 Apple also fixed a bevy of first-party app bugs and a Control Center quirk that in some cases prohibited Bluetooth radio control. The macOS High Sierra update, dubbed build 17A291j, contains a number of refinements and other improvements like Apple File System integration, migration from H.264 to H.265, and Metal 2. The update resolves an issue that prevented enabling FileVault on APFS volumes, and Apple incorporated improvements to Messages, OpenCL, FileVault and other apps and services. Developers evaluating watchOS 4 build 15R5307f gain access to the set of animated "Toy Story" watch faces Apple demoed onstage at WWDC. The update also fixes issues related to haptic feedback, music playback, location-based HomeKit triggers and Siri usability. Finally, tvOS 11 beta 2 build 15J5310e addresses a host of home screen problems like text clipping and app icons. Issues that cropped with individual apps, like Music, have been resolved, while developers can more easily connect to an Apple TV for QuickTime screen recording. TestFlight implementation has been streamlined across all platforms.